October 2018 saw 70 homes sell and close escrow in Redondo Beach. The average list price was just over $1,112,066 with an average sold price of $1,112,556. When the sold price is higher than the average list price it indicates a very strong sellers market. The median list price was $1,062,000 with the median sold price at $1,054,000. The average price per foot was $615.86. 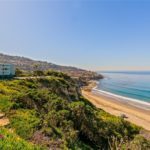 Click here to view the current homes for sale in South Redondo Beach or current North Redondo beach active listings. The highest sale of the month was at $2,949,000 for a 5 bedroom, 4700 square foot single family home in the Hollywood Riviera. 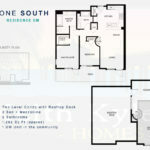 The lowest price of the month was $400,000 for a 1 bedroom condo in the 55+ community of Breakwater Village. 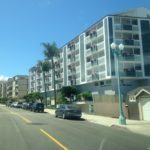 October 2018 Sold Homes in Redondo Beach. This is the home you have been looking for. From the moment you enter you’re struck by the bright and open concept layout perfect for today’s lifeastyle. 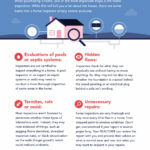 The home was recently expanded and extensively remodeled with no expense spared. Enter through the beautiful glass front doors inset with decorative iron and into the expansive living room. 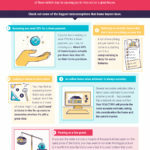 You are immediately struck by a sense of space found in only luxury homes. This custom redesign and remodel was inspired by the California lifestyle with open spaces and direct access to the oversize yard and patio with indoor outdoor living in mind. The living room area opens directly to the kitchen and dining areas as well as the sliders to the backyard. 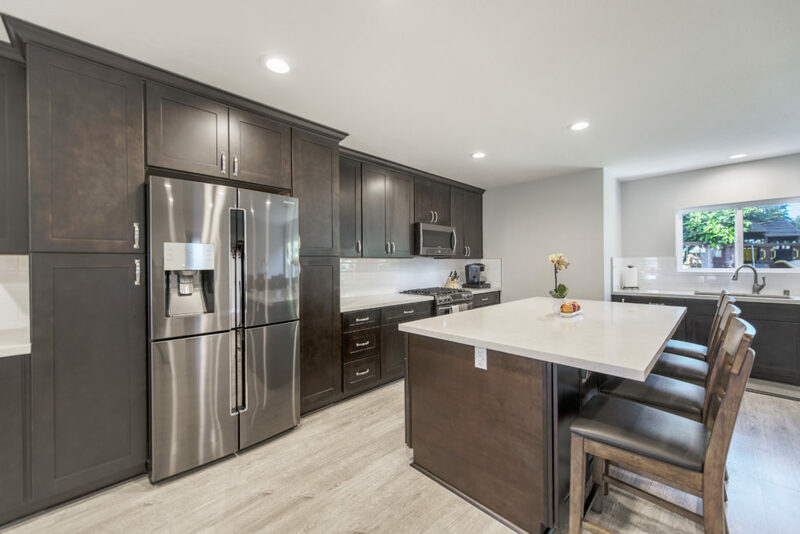 The kitchen is the true showcase of the home with quartz countertops, gleaming cabinetry, oversized kitchen island, black stainless steel appliances and custom LED lighting. Perfect for entertaining, the kitchen offers plenty of room for family gatherings and neighborhood get togethers. Sliders just off of the dining area make for the easy enjoyment of the great yard and patio areas and make for perfect indoor outdoor living. The huge backyard offers an abundance of space from the large grassy yard to the mature avocado, tangerine, dwarf lemon, dwarf orange, persimmon trees to the raised garden beds. With no direct neighbors off of the backyard the yard enjoys a fantastic level of privacy. The home offers 3 spacious bedrooms including the beautiful master suite. Enjoying great light with an abundance of windows and doors fronting the yard, the master suite offers the perfect retreat. Dazzling master bath features include dual vanities, separate tub and frameless rain shower. 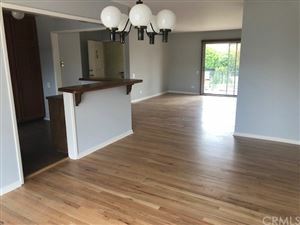 The additional two bedroom face the front of the home allowing great light and airflow with beautiful flooring, large windows and brushed nickel ceiling fans. Hall bath enjoys beautiful tile work, frameless glass shower/tub and more. 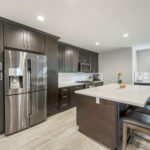 Additional details in this wonderful home include a separate laundry room, power room off of the living area, large office area, new air conditioning unit, tankless water heater, solar power, and a two car detached garage. 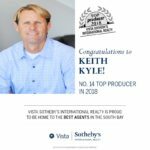 Contact listing agent Keith Kyle with Vista Sotheby’s International Realty for more information or for a private showing. Without question the highest priced home currently on the market is the oceanfront home located at 709 Esplanade in South Redondo Beach. 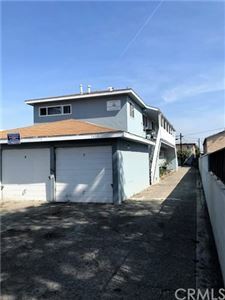 While there are numerous condo complexes on the Esplanade there are only a very small number of single family homes along Redondo’s waterfront street. 709 Esplanade is pretty unique in just about every way. While the location is the primary selling point the home is absolutely huge offering somewhere between 8,800 and 9,200 square feet. The home features 5 bedrooms and 6 bathrooms, many of which enjoy incredible and unblockable views. With 51 feet of ocean frontage this home is rare indeed. 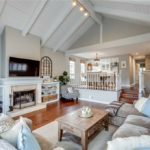 The home has been on the market for almost 5 months and has an interesting history on the market. It was on the market back in 2012 at $10,000,000 but was absolutely not the home it is today. Picture almost 10,000 feet of pink tile and that pretty much sums up what it was like. They struggled to sell and after many price drops and several realtors it finally sold at $6,350,000 in 2015. The current owners did an extensive remodel of just about every surface to get it up to it’s current updated and clean look. Being so unique they’re also searching for a unique buyer that can afford the price tag and wants a massive home in an area that a home half it’s size would be considered massive. They’ve had one price reduction from the original $14,200,000 and it’s currently listed at $13,700,000 by Ed Kaminsky of Christies Strand Hill. Contemporary, sleek and unquestionably modern, this landmark residence presents a spectacular oceanfront location on the southern sands of Redondo Beach. Three terraces and abundant picture windows welcome panoramic Pacific Ocean views that stretch from the Palos Verdes Peninsula to Malibu&#8217;s Point Dume and encompass crashing waves, passing sail boats, a jetty, pier and shimmering lights after romantic sunsets. Centered around a soaring atrium with oversized skylight, the open and bright estate is generously proportioned at approximately 9,200 square feet and showcases 5 bedrooms, 6 baths, maid quarters with a separate entrance, grand rooms with slide-away doors to terraces and loggias, an 8-car garage, expansive media/game room and an elevator that serves all levels. Grand-scale and intimate entertaining are easily accommodated and complemented by amenities that include a pub-style wet bar, wine cellar, and a chef-caliber kitchen with island, bar seating, nook, marble countertops, beamed ceiling, chic cabinetry and high-end appliances including a pro range and built-in refrigerator. Recently updated and remodeled to exacting standards of excellence and craftsmanship, the palatial residence displays new stone flooring, handsome fireplaces, custom wrought-iron railings, dramatic archways, high ceilings, and a main terrace with a fire pit. Stunning architecture, endless views, unparalleled luxury, don&#8217;t let this once-in-a-lifetime opportunity pass you by. 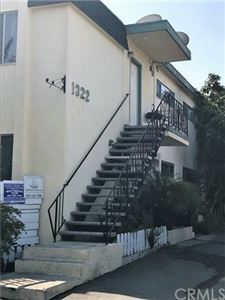 Listing provided by : Brett Miller CalDRE: 01309464, Douglas Elliman of California, Inc.
Condos and townhomes are relatively rare in the Hollywood Riviera as most of the area is zoned for single family homes. Cote D’ Azure is one exception and the location just couldn’t be cooler. 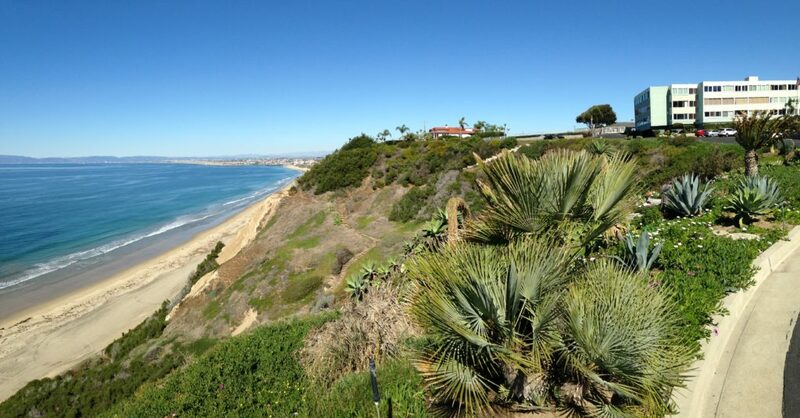 It sits on the bluff overlooking the ocean on the Hollywood Riviera’s best streeet, Paseo De La Playa. Cote D’Azure offer sits just up the hill from Torrance Beach and offers direct access down a set of stairs exclusive to the complex. The units range from tree top views to partial ocean views to spectacular ocean views. 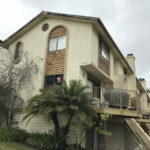 The current home for sale at 639 Paseo De La Playa #105 offers a pleasant tree view straight on with some nice ocean views at a bit of an angle. 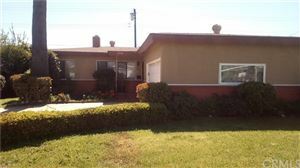 Most of the home has been remodeled and ready to go. We're sorry, but we couldn't find MLS # SB18034677 in our database. This property may be a new listing or possibly taken off the market. Please check back again. A noticeable increase in number of homes for sale at $1,500,000 and above has seemed to put the brakes on a very hot real estate market in the Hollywood Riviera. 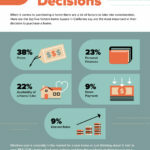 The buying public had been clamoring for more homes on the market and now that they’ve arrived, it seems they’re not selling. The $1,100,000-$1,400,000 price point is still extremely active, but the increased inventory of high end homes has definitely slowed the market. 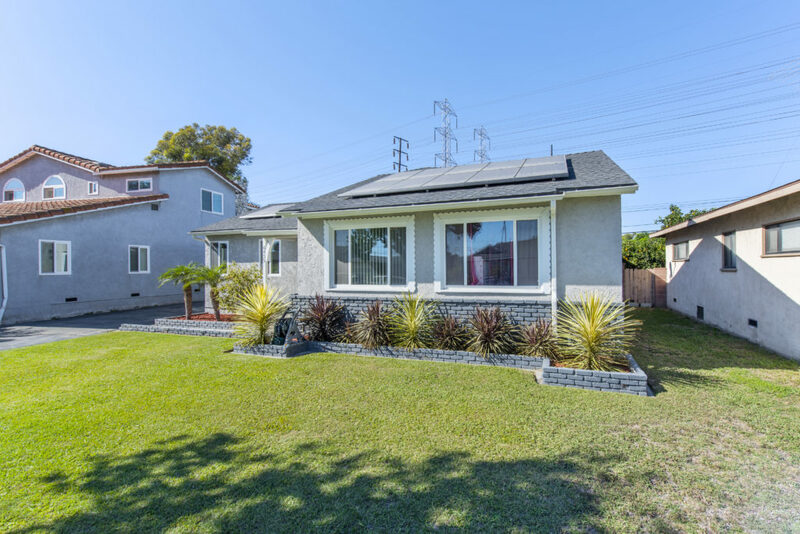 Certain homes such as the recent listing at 225 Via Alameda which sold with multiple offers right from the start, are the exception at the moment and not the rule. 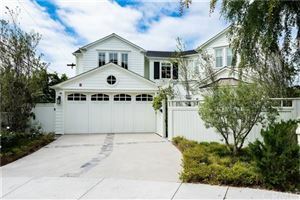 It’s not uncommon to see these higher price point homes sitting on the market for months which is a distinct difference from some other high end areas in the South Bay. The chart below shows the number of active, pending and sold homes by month for homes priced over $1,500,000 and clearly indicates almost double the number of homes for sale while pending and sold listings are down.